Commonly used by homeowners for a variety of purposes, a sump pump essentially moves excess water from a problem area, such as the basement of a home, into a place where the water can safely go, such as a storm drain. Without a sump pump to remove excess water, catastrophic flooding and damage can occur, leading to expensive major repairs and higher insurance premiums. The basement is the area where a sump pump is most commonly installed. If your basement floods regularly during rain events, or your basement walls tend to retain excess moisture and require a drainage system, your basement should have a sump pump to move that water elsewhere. 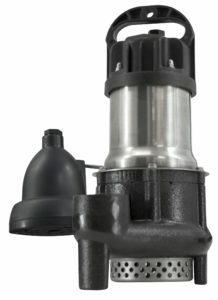 Considering the potentially catastrophic damage that a sump pump keeps at bay, what would happen if it stopped working? Don’t wait to find out! 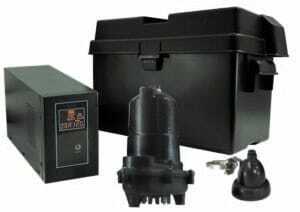 Primary sump pumps fail most often, not because of device malfunction, but due to a loss in power, such as in a storm or lightning strike, or even by someone unplugging the sump pump and forgetting to plug it back in. Just imagine the damage that can be done during a period of heavy rain if your sump pump isn’t functioning — it’s not a pretty picture. By having a battery backup system already installed, you can be sure that the water is being consistently moved out of your basement and into a place that is safer and more apt to absorb excess liquid. Here’s the beauty of working with Foundation Solutions 360 — we’ve already done all of the research for you! 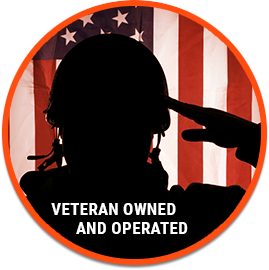 We’ve taken the time to work directly with multiple manufacturers, including visiting their plants and understanding every minute detail of their products, all so that we can assure each and every one of our customers that they are purchasing a high-quality, durable product. 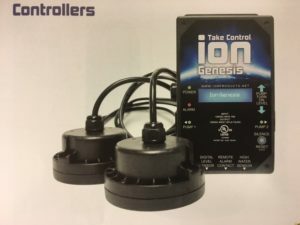 The ION Genesis is a first of its kind digital pump controller that is designed to operate one or two pumps, alternating or together. 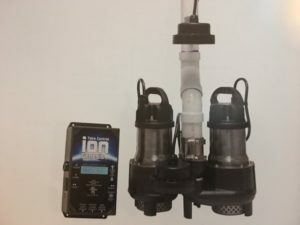 The ION Genesis incorporates smart sensing technology that utilizes critical system information such as pump draw, water level and many more features. The ION + Digital Level Control with High Water Alarm is the world’s first digital control sensor with integrated alarms. 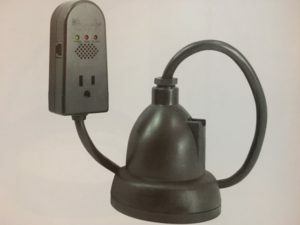 Can be connected to external alarm notification systems for real-time notification capability. Provides superior performance and reliability when compared to industry standard mechanical pump switches. 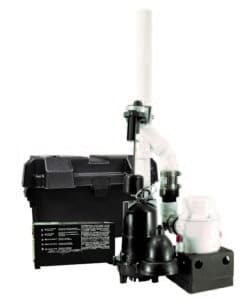 For more information on the sump pumps we recommend, as well as product availability and installation services, contact Foundation Solutions 360 today!